Mineral Rights: All owned by Sell, if any, will transfer. 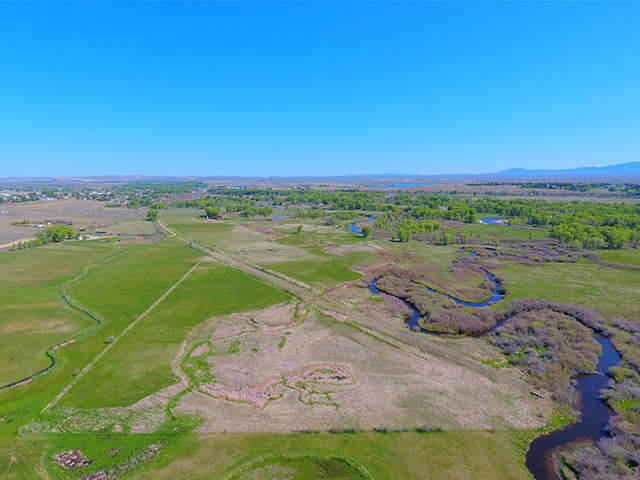 Located just south of Saratoga, Wyoming is a rare opportunity to own 39.73 deeded acres +/- along Spring Creek. Featuring a setting that few properties in the Upper North Platte River Valley possess, the Spring Creek Acreage really must be seen to be appreciated. It enjoys nice hay meadows irrigated by a territorial water right dating back to 1889 and it has incredible views of the mountains to the east. Live water via Spring Creek runs through the property for approximately 700 feet and the Caldwell Slough runs along the north and part of the east boundaries. Willows line Spring Creek and there is a nice stand of Cottonwoods on the north end of the property providing good coverage for Whitetail and Mule deer. Power is very close to the property. Currently zoned RAM (Ranching, Agriculture and Mining) the subject property would make a nice horse property with the ability to raise enough hay to feed during the winter months. The valley is known for its outstanding fisheries and hunting for elk, deer and antelope. Saratoga is often regarded as one of Wyoming�s best kept secrets and features fine dining and the Old Baldy Club, a prestigious member only, championship level 18-hole course with blue ribbon fishing and superior accommodations. To arrange a time to view the Spring Creek Acreage call James Land Company today at 307-326-3104.